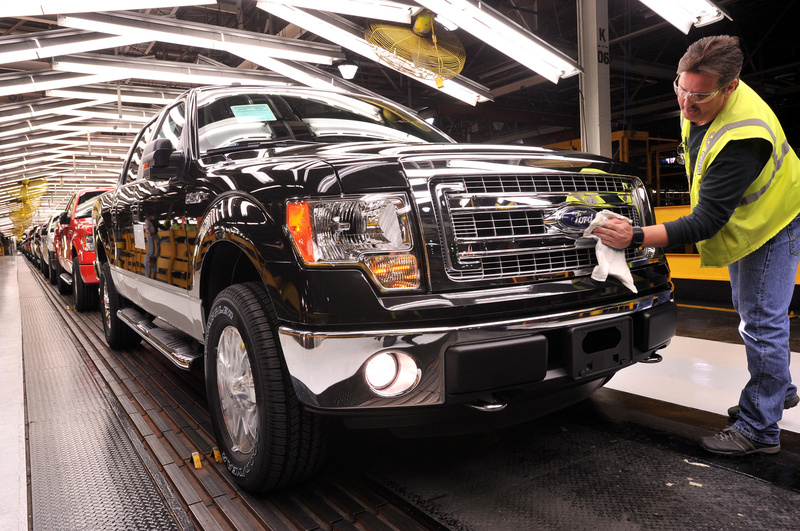 Ford announced yesterday that they will be adding 1,550 jobs across the country to boost Ford F-150 production. According to the company, 500 of the jobs will be added to the Dearborn Stamping and Dearborn Diversified plants; 150 will be added to Sterling Axle; and 900 will go to Ford’s Kansas City Assembly Plant. This, of course, comes just one week after numbers came out saying that Ford’s 2014 sales were down by more than 50%, a fact that Ford expects to change dramatically in 2015. The job increase is not only huge for potential new hires, it is also HUGE for current Ford workers. That’s because 300-500 hourly workers will also receive raises and be upgraded from their current second-tier hourly worker position. This, of course, has been a point of contention between Ford and the UAW (United Automobile Workers) in recent months, as Ford had been exceeding the number of second-tier workers allowed under its current labor contract. The decision to increase production and provide promotions directly stems from the early 2015 success of the F-150. Ford says that last month was their best selling January for F-Series trucks since 2004 and that the new aluminum-bodied pickup accounted for a solid 18 percent of F-150 sales. 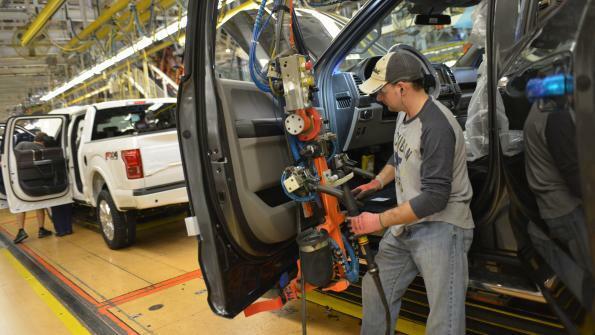 This entry was posted in Culture, Ford, Trucks & SUVs and tagged Dearborn Diversified, Dearborn Stamping, f-150, ford, Ford's Kansas City Assembly Plant, production, sales, Sterling Axle, UAW, United Automobile Workers. Bookmark the permalink.